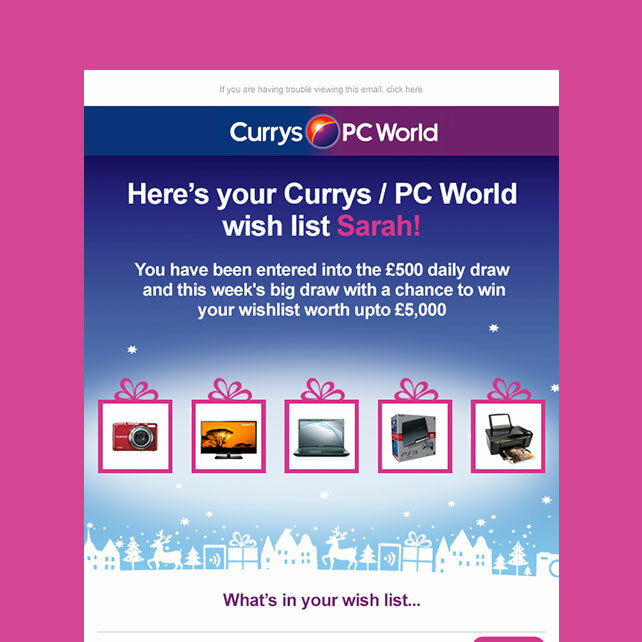 Christmas is a peak time for Currys / PC World… we needed to create a standout digital campaign, and the ability for consumers to create their dream wish list of gadgets was key to the activity. 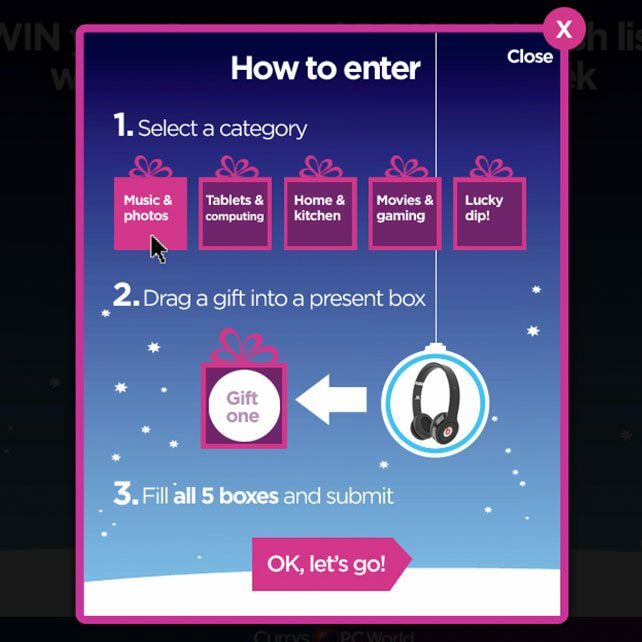 Consumers can use the site to create a Christmas wish list, which they could win! This is a critical must-win period for the business, so we needed an activity that would stand out and get consumers involved in their thousands. What if we could give them the opportunity to win their Wish List? 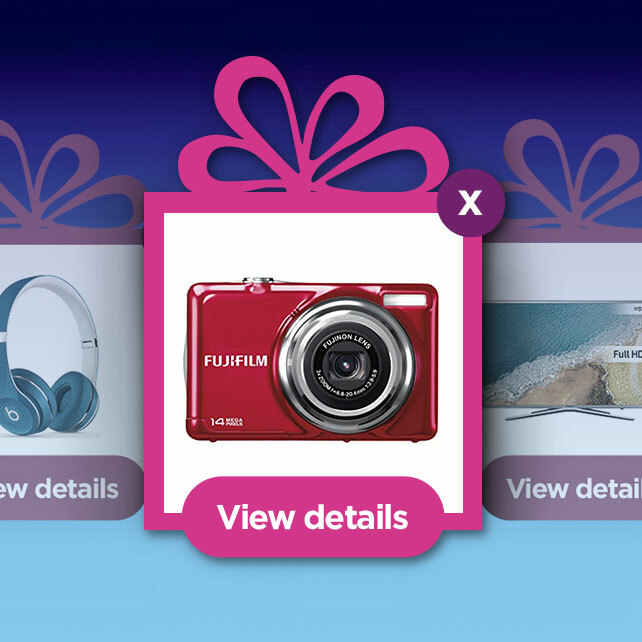 Win your Wish List was born. 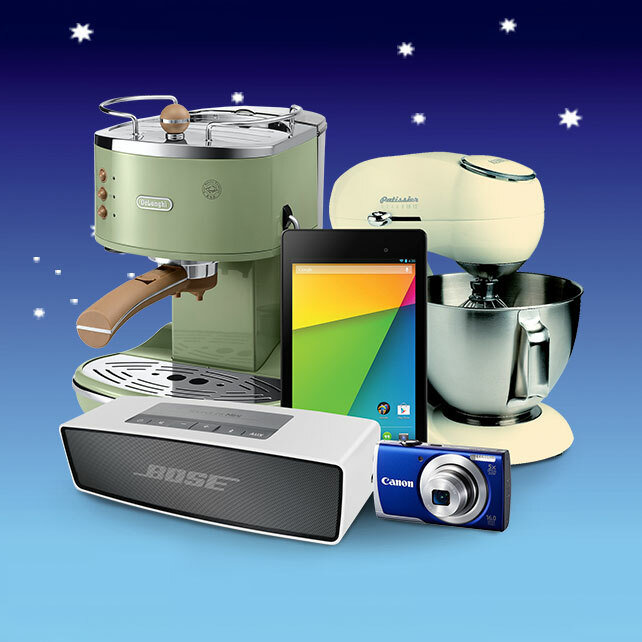 A rich, interactive experience where consumers could drag and drop their favourite tech gifts into a single Wish List, and enter this to win the lot! 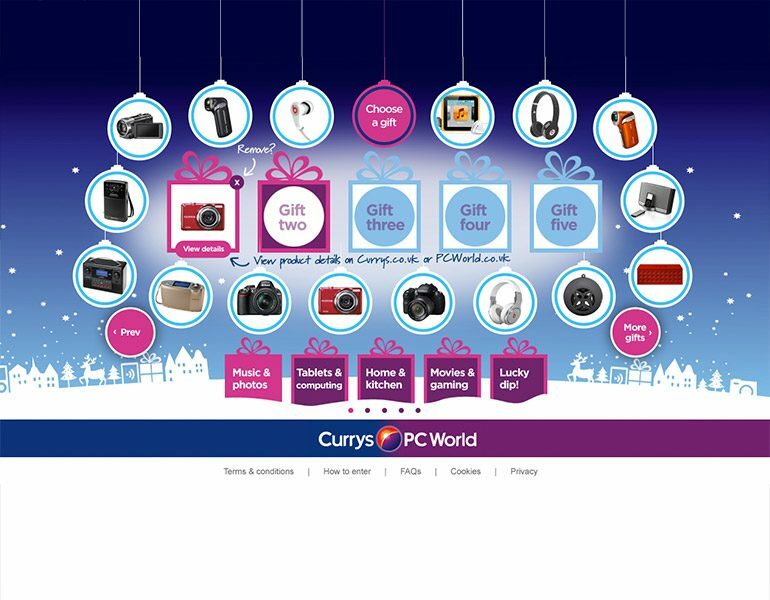 Activated online, in-store and offline, and integrating with the overall campaign theme and look and feel, consumers can use the site to create a wish list – from iPads, to TVs, to headphones, all the top gadgets they could wish for this Christmas. 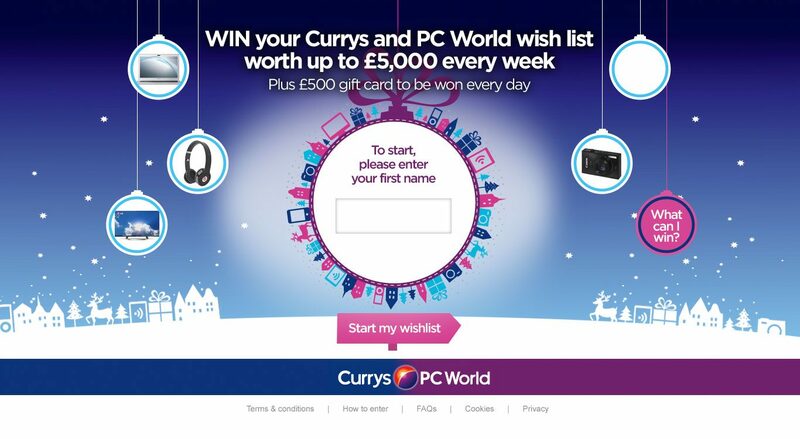 After creating a list, the consumer can enter the prize draw to win their list worth up to £5,000 every week, plus £500 gift vouchers every day. The campaign website was built on our in-house platform [ProMotor] specifically built to support on-pack & sales promotions. 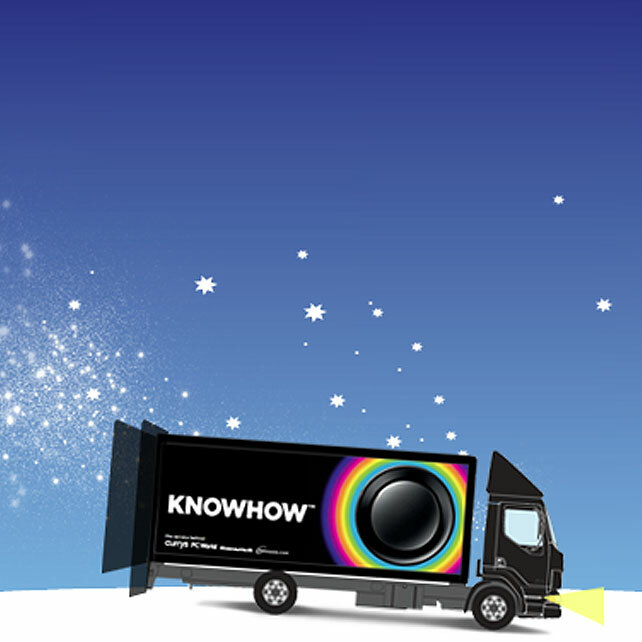 A beautifully festive, interactive multi-platform campaign site, with consumers being able to take part in the campaign via desktop or mobile devices. In total, over 750,000 wish lists were created – generating huge engagement at this critical ‘must win’ period.